It’s important for a doctor’s hands to be as clean as possible so he doesn’t transfer germs to his patients while treating them. Unfortunately, it’s easy for germs to hide out in a diamond ring setting. Doctors always have the option of wearing gloves over their hands to prevent spreading germs, but rings often poke through and puncture disposable latex gloves. If you choose to leave your ring at home, then your diamond ring can be any style you wish. But if you don’t want to part with your ring, choose a simple design with inset diamonds that can easily be worn on the finger (or on a chain!) during work. 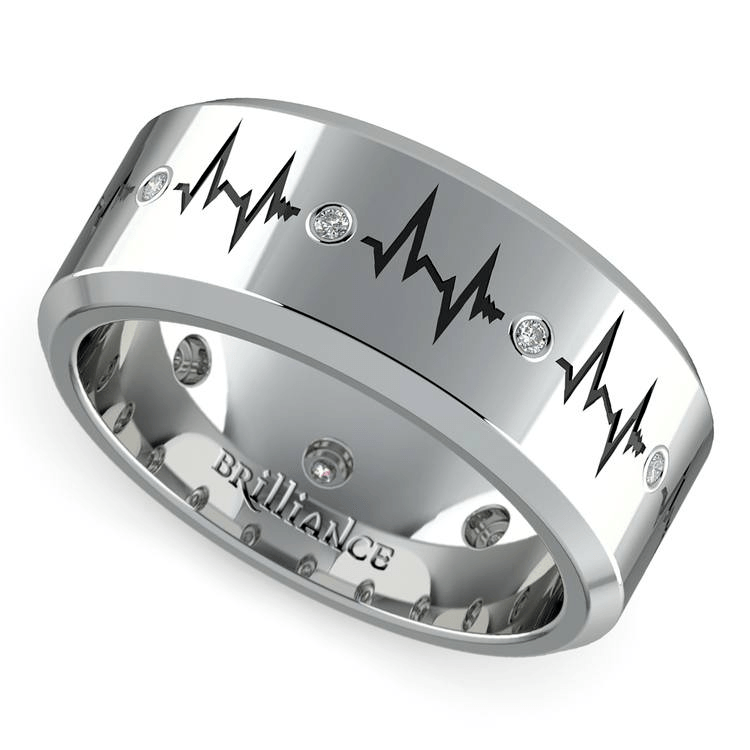 Editor’s pick: Even though most doctors don’t wear their rings at work, they can still celebrate their profession with this Heartbeat Men’s Diamond Eternity Band. This ring is a symbol of the two major loves of your life: your profession and your spouse! Athletes, trainers, and other men who live very active lifestyles need to be careful when choosing a diamond ring. Large diamonds and ornate designs may interfere with their performance, so it’s best to choose a simple design with subtle diamonds. Athletes may even want to follow the lead of NFL players and consider choosing non-traditional materials such as silicone that are much safer to wear than gold and platinum. 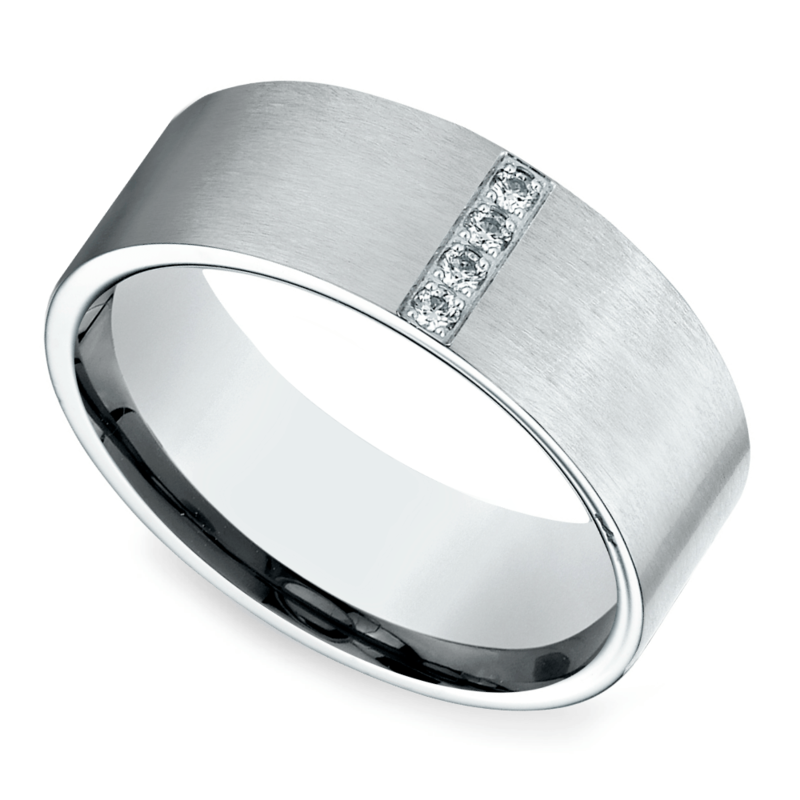 Editor’s pick: This Pave Men’s Wedding Ring in White Gold is ideal for men with active lifestyles because the diamonds are set within the band so the surface of the ring remains flat. This means the ring won’t affect your ability to play sports, train others, or stay active. 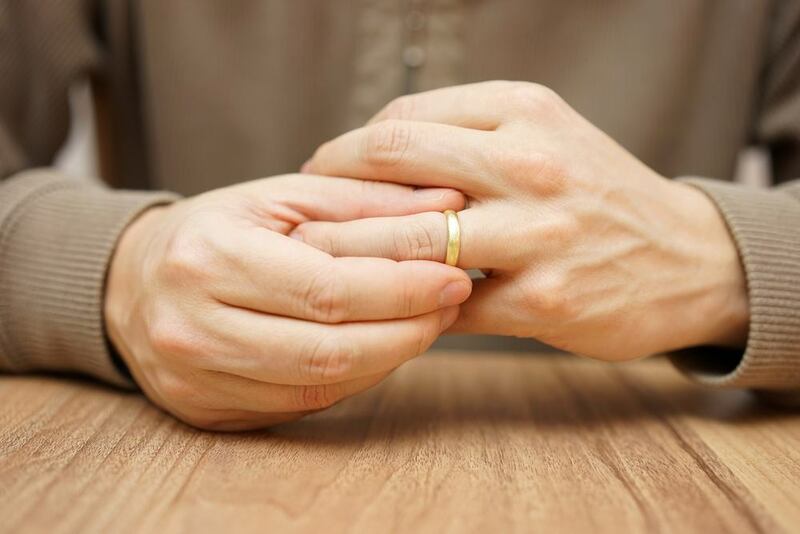 Anyone who works with their hands, including handymen, construction workers, and electricians, need to ensure they choose durable diamond rings. Platinum is heavy and durable compared to gold, but it’s not safe from scratches, so it’s not a good choice for men who use their hands at work. The best option would be titanium which is known as one of the most durable and scratch-resistant metals. Tungsten is also durable, but it can be difficult to remove from your finger in the event of an emergency. 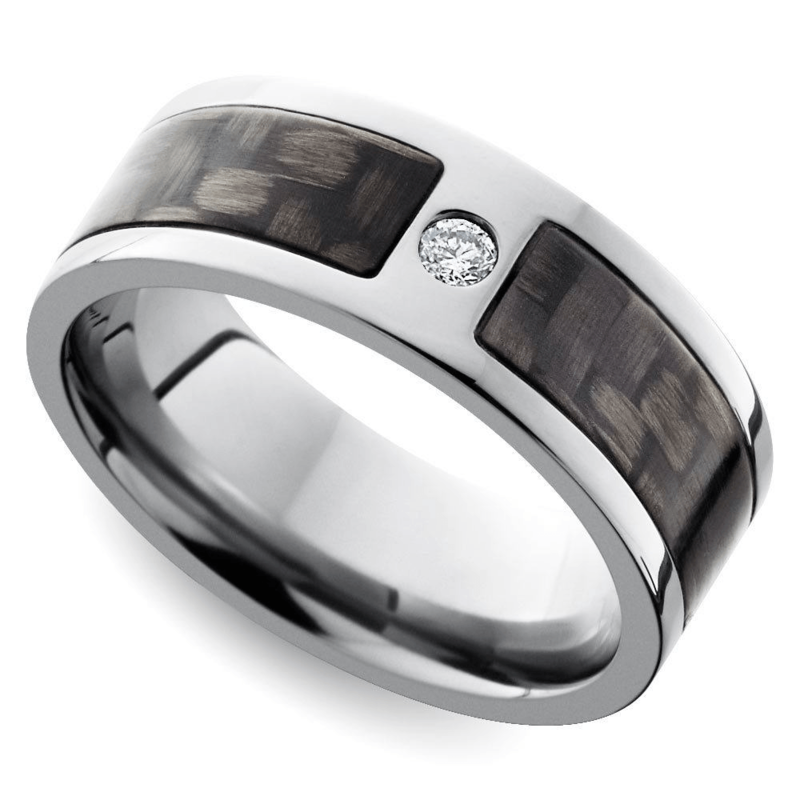 Editor’s pick: This Diamond Accent Carbon Fiber Men’s Wedding Ring is perfect for men who need a durable ring. The band is made out of titanium, so you don’t have to worry about scratching or damaging it while you’re busy at work. Mechanics also work with their hands while they’re on the job and their hands are often covered with grease, oil, and other substances they come into contact while working with cars. If a mechanic wears a ring with intricate detailing, the oil and grease will end up in every nook and cranny of the design. To prevent this problem, it’s best for mechanics to look for rings with a smooth finish. The design should be as simple as possible so there is no place for dirt, grease, or oil to hide. 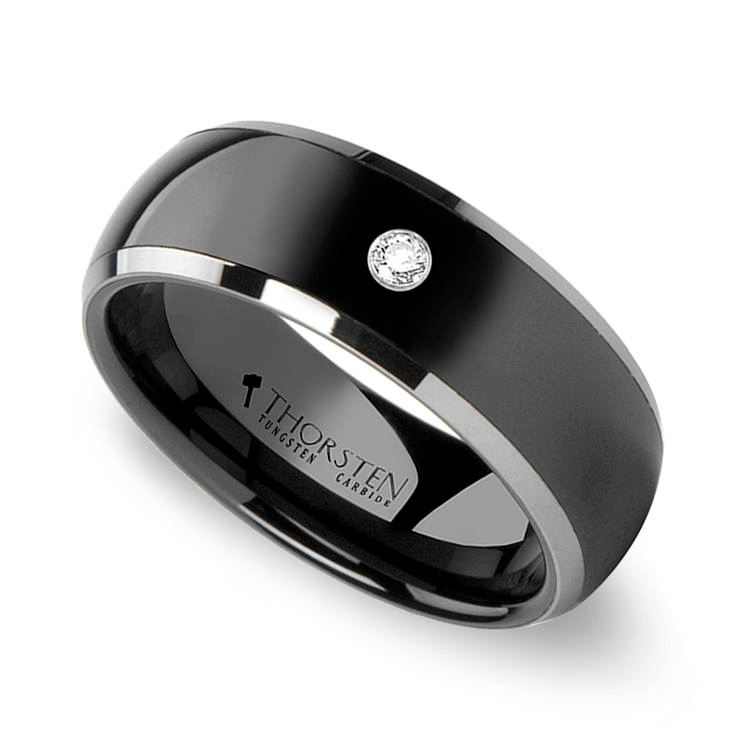 Editor’s pick: This Ceramic Inlay Diamond Men’s Ring in Tungsten is a great choice for men who work as mechanics. The smooth surface of this ring will make it easier for mechanics to clean up after a long day at work. Plus, the ring is made out of sleek black ceramic, which will camouflage grease and oil better than gold or platinum can. Your career isn’t the only factor that you should consider when choosing a diamond ring, but it is one of the most important. Using this guide will ensure that you choose a ring that will fit in perfectly with your lifestyle.